Europe’s cities are often congested, polluted and noisy places to be, largely due to high levels of road traffic. Inter-urban roads are also increasingly congested with the result that pollution and noise from road transport is becoming increasingly widespread in rural areas, which also adversely affects farmland, conservation areas and wildlife. The transport is also a significant source of greenhouse gas emissions (particularly carbon dioxide), which contribute to global warming and climate change. The health and economic impacts of the situation is significant. Twenty six thousand people die on the EU’s roads each year, while nearly half a million people die prematurely each year as a result of being exposed to high levels of air pollution. Noise pollution from road transport adversely affects more than 100 million people in the EU at levels that potentially damage health. These environmental problems have adverse social consequences on those affected, but also have adverse effects on the economy due to lost productivity and increased costs to the health service. Too often policy making has had the car at the heart of the debate with the priority on reducing road congestion, rather than the much wider need to create a smooth transition to a sustainable transport sector. Local authorities are however recognising that there must be changes to how valuable and limited urban space is used and that routes to rural areas must be kept accessible for those without a private car. A truly sustainable mobility sector would provide access and opportunity for all, while ensuring that transport is safe and secure to use and that it supports a sustainable economy. There would be zero (or minimal) emissions of carbon dioxide, air pollutants and noise from transport. A sustainable mobility sector would also ensure that nature is better protected, and that any adverse effects on it are minimised, while re-use and recycling of materials would be maximised. 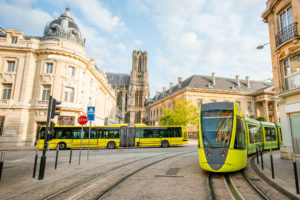 There are two aspects that are fundamentally important for delivering a sustainable mobility system: make sustainable mobility the most attractive, affordable and obvious choice for each (part of each) journey; and make sure that zero emissions technology is available, affordable and sustainable. To make sustainable mobility the most attractive, affordable and obvious choice, public space needs to be people-oriented, not car-oriented. Investment is needed to improve the amount and quality of infrastructure for public transport, cycling and walking. Journey planners need to be multi-modal, integrating public transport with bike and car sharing services; integrated ticketing and payment systems are also important. The opportunity offered by smart phones and the internet needs to be maximised. Pricing and taxation policies also need to support sustainable mobility. Vehicles – whether public or private – need to be zero emission vehicles and use fuels that have been produced with minimal impact on the environment. The development of these vehicles needs to be required by regulation and supported by taxation polices, which also need to ensure that such vehicles are competitive with more polluting vehicles. Electrification of vehicles will be important, but so potentially might be the use of hydrogen and other fuels produced from renewable electricity. A truly sustainable mobility system will lead to improved public health and more attractive urban areas. As result health costs will decline, while productivity will increase, so there will be benefits for the economy. Such a system will also be fairer, as it will provide accessibility and opportunity for a wider range of people. While the type of job in the transport sector will change, there will be an increased number of jobs that support a healthy and sustainable economy. TEPR with CE Delft was recently asked by the Greens/EFA group in the European Parliament to explore what a truly sustainable mobility sector in 2050 might look like, and how we might get there; the results were presented in the above report, which can be found on the ‘Sustainable transport’ page of TEPR’s website. It expands on the issues presented above, in particular the policies that are needed for, and the benefits of, a truly sustainable mobility system. For more details about the report, contact Ian Skinner at TEPR.